Over 100 different types of terpenes have been identified in the cannabis plant, with flavor profiles ranging from “cheesy” to “piney.” It’s these pungent oils that give each cannabis strain its own distinctive citrus, mint, berry, spicy, woody, or clove-like flavor. Just like a fine wine, many factors affect a plant’s terpene development – climate, weather, age, maturation, soil type, and fertilizers, to name a few. 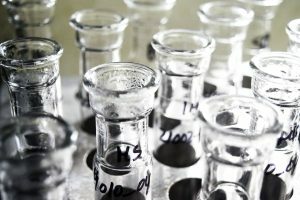 Modern Canna Science (MCS) tests terpene content because we know that understanding the unique fingerprint of a particular cannabis strain is paramount to providing consumers with the right product for their needs. Terpenes are about so much more than flavor. More and more, the influence of terpenes are being studied for their psychoactive and physiological effects. Terpenes, too, bind to receptor sites in the brain to affect the production of dopamine and serotonin. Terpenes work in concert to catalyze or inhibit the effects of other compounds (like THC) in the body. Certain terpenes are associated with stress relief, easing pain, aiding sleep, improving focus, and diminishing nausea. Terpenes are a set of simple organic molecules present in all living organisms. Most of the flavors and aromas of plants derive from their terpenes. You can find myrcene in thyme and hops, limonene in citrus fruits, and linalool in cinnamon and mint, for example. In the wild, terpenes work — in the most basic sense — to attract pollinators and repel predators. What can Terpene analysis tell you? How is Terpene testing done? There are people who claim they can distinguish particular terpenes through their powerful sense of smell. However, a phytochemical test for terpenes is the only way to know for sure. Modern Canna Science uses high-pressure liquid chromatography (HPLC) to quantify cannabinoids, and gas chromatography with flame ionized detection (GC-FID) and mass spectrometry (GCMS) to separate and quantify nearly 40 commonly found terpenes in cannabis. With mass spectrometry, molecules are separated in the chromatography column and blown apart by a spectrometer into predictable mass fragments that can be matched with similar profiles in our database. With flame ionization, the compound exits the column and is burned in the flame, which will produce an electrical signal directly proportional to the amount of compound present. The tests can be adjusted based on the delivery methods used, whether eaten, smoked, swallowed, or topically applied. OG Kush terpene profile – An earthy, woody pine aroma, known for its relaxing, euphoric effects to relieve stress and tension headaches, while improving attention, motivation, and focus. This popular hybrid strain includes a mix of alpha-pinene, limonene, and myrcene to create its signature flavor and effects. Linalool terpene profile – A floral, candy-like aroma found in lavender and coriander, linalool reduces pain, insomnia, depression, anxiety, seizures, and psychosis. Myrcene terpene profile – Musky and earth, with notes of tropical fruit; found in mango, lemongrass, eucalyptus and hops, this terpene treats spasms, pain, insomnia, depression, and inflammation; it is also known to enhance the psychoactive effects of compounds like THC to increase relaxation. Limonene terpene profile – This bitter citrus aroma can be found in peppermint, fruit rinds, rosemary, and juniper. It’s known for having anti-fungal properties, boosting one’s mood, dissolving gallstones, and removing heartburn. Caryophyllene terpene profile – A rich, spicy aroma found in cloves and black pepper known for its anti-inflammatory, anti-bacterial, anti-fungal, and antiseptic properties; recommended for patients with arthritis, autoimmune disorders, addictions, and gastrointestinal complications; activates cannabinoid receptors. Alpha/Beta Pinene terpene profile – This sweet pine aroma is found in dill, parsley, basil, and pine; treats inflammation and asthma, with effects like alertness and improved memory retention probable; counteracts some THC effects. Humulene terpene profile – Similar to hops or coriander aroma, this terpene fights inflammation, cancerous cells, and bacteria, while also diminishing appetite. Terpinolene terpene profile – Found in apples, cumin, tea-tree, and lilacs, this woody, smoky aroma fights insomnia, fungus, and bacteria. Camphene terpene profile – Found in essential oils, Camphere provides antioxidant effects and shows promise for pain relief. Phytol terpene profile – This subtle aroma is also found in aged green tea, and aids with sleep. Bisbolol terpene profile – With a citric, floral aroma, this terpene has been used in cosmetics for its anti-irritant, anti-inflammatory, and anti-microbial properties. Currently, cannabis cultivators are in the process of mapping out all the different strains. Once all the strain mapping is completed, they can begin to breed plants to produce greater amounts of certain terpenes, which will increase the beneficial effects of their products and reduce the likelihood of unwanted side effects. With our full range of cannabis testing for authorized distributors, cultivators, and licensed marijuana regulators, Modern Canna Science is dedicated to providing clear scientific analysis regarding a particular sample’s quality. Our Lakeland, FL cannabis testing lab is one of the most trusted in the industry, with over 50 years of laboratory industry experience that we put to work for you!